As information and connectivity have been democratised by social media and other online channels, Paul Tunnah muses on the nature of influence in the modern world and how pharma can identify, define and engage with medical opinion leaders in the digital space. Influence is an intriguing thing, but one that has always been of interest in healthcare. The pharmaceutical industry has invested considerable time, effort and money into understanding who the main influencers on medical practice are – and trying to engage with them. The term Key Opinion Leader (KOL) was coined early on for a physician who was seen as one who other medics looked up to on how they should be treating their patients and what new pharmacological interventions were worth considering. An entire service sector sprang up around identifying and engaging with KOLs, without whose support any new medicine was surely doomed to fail. In the pre-internet age KOLs were identified on the basis of often complex metrics that reviewed which journals they were publishing in, the impact factor of those journals (a way of saying how important they are for those not familiar with the term), how often they were cited in other papers, where and how often they spoke at medical congresses, and so on. Debates began around the right and wrong ways to measure influence and, in particular, attention started to focus on whether particular KOLs were too close to individual pharmaceutical companies. In other words, was their Opinion regarded as impartial and was it really Key to view them as a Leader in medical practice? … But that’s a whole separate issue. Then the internet came along and, more specifically, social media, which has massively democratised the sharing of information. Suddenly, long-established journals were no longer the sole source of medical information and the debate on appropriate treatment pathways, and the value of new treatments, has been opened up to a much broader group, including patients and other interested individuals without formal medical training. This has created two challenges for the pharmaceutical industry. First, the old measures of influence from the pre-internet age have started to become less relevant, as web-savvy physicians have seen social media as a way of extending their influence and engaging with other medical innovators globally. Second, as control over the dissemination of medical information has been lost, the quantity of misinformation available online is staggering – and almost certainly outweighs that which is accurate. So if you consider where we are now, we have three broad groups of medical influencers to consider – traditional KOLs who continue to exert their influence mainly through the old methods, those who have also started to utilise digital channels alongside, and those who are really embracing digital and focusing far greater effort on these new channels – the Digital Opinion Leaders (DOLs). Of course, we must not also forget a fourth group who are becoming equally important – the patient opinion leaders (POLs). The DOLs, I believe, are doing what they do for two reasons. One is that they have grasped the reality that, as digital communication becomes a mainstay of sharing information, it is becoming impossible to really be an influencer without utilising them. This plays to the old motivations, which are both selfish and altruistic in equal measure – the personal desire to be seen as a leader, twinned with wanting to drive better medical practice to improve patient lives. The second reason is more ‘of the moment’ and often comes up when I conduct social media training with physicians. One of their biggest challenges – and concerns – is the fact that patients come in to see them armed with a wealth of information they have already found online about their condition, which may not be correct. Thus the first half of any consultation becomes about dispelling the rumours and myths of their condition. For physicians who have limited time (i.e. all of them), there are two solutions to this – removing all the misinformation from the internet (good luck with that! ), or being proactive about sharing the right information among colleagues and patients through the online channels they are most frequently using. I believe this is going to be a key driver of both DOL and pharmaceutical company activity in the future. But back to the point – how do we measure influence for these new DOLs? Well, unsurprisingly, all kinds of new methodologies have been developed that adapt the old principles for the digital landscape. Social media accounts are being mapped against physicians, numbers of followers recorded and complex algorithms developed that can produce network maps to show who is connected to who. The challenge remains though – influence is not a simple quantitative metric. It’s very difficult to measure the subtle nuances of personal relationships – who listens to who and whether their opinion is regarded as useful, unbiased and relevant. These networks are also becoming more complex and spanning medics and non-medics alike. Finally, even if you do know who the influencers are, they are usually the hardest ones to be influenced, so engagement with them is not easy. The best solution to understanding influence, influencers and how to engage with them – starts by listening, understanding what they need and then interacting in a human way, which is mutually equitable. By all means use metrics to understand these networks, but leave them at the door when you interact with influencers. Until next month, keep influencing each other and stay well. 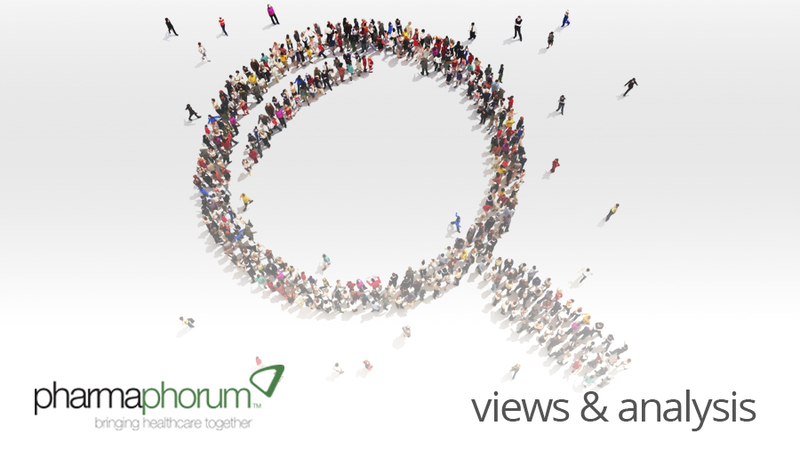 Have your say: How are modern healthcare influencers defined? When does pharma innovation really need to start?